A shadowy guerrilla group opposed to the North Korean regime that was recently fingered in a daredevil raid on the North Korean Embassy in Madrid has received W64 million in Bitcoin funding over the last two years (US$1=W1,130). 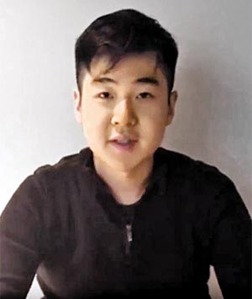 The group, which variously goes by the names Cheollima Civil Defense or Free Joseon (after North Korea's conventional name for itself), first made headlines by protecting the son of North Korean leader Kim Jong-il's half-brother Kim Jong-nam, who was assassinated by North Korean agents in Malaysia in 2017. According to the group's website, around 14.2 Bitcoins have been sent to the group's cryptocurrency account since March 2017, which was worth around W64 million as of Wednesday. Most of the Bitcoins have already been cashed in. The group recently declared itself the government-in-exile of North Korea and is rumored to include some dissident members of the ruling Kim family and have links to the CIA.